If Rand Paul is to be believed, President Trump is not going to cave into the establishment's demands that we stay in Syria forever after four Americans were killed on Wednesday but is instead more committed than ever to leaving. I�ve just come from the White House and we had a great meeting there. I tweeted out that I�ve never been prouder of the president and I don�t say that lightly. I�m not the kind to just say something is really great if it�s not. I really am proud of the president for making an argument that no president in recent history has made and that is that we have been at war too long in too many places and that he�s really going to make a difference. This is the kind of stuff those of us who have seen the horror of war and see the horror of those who have lost limbs in war and war that has gone on and on and on. We live for the day that somebody will actually stand up and say �I�m going to change history.� I think the president is that person�and I really am proud of him not only for saying that not only is he following through with his Syria policy but I really do think there will be changes in Afghanistan as well. If you look at the polling data for the American people, I think the American people are with the president and they�re tired of both parties who are unwilling to stand up and say enough is enough. It�s time to spend some of that money at home. He mentioned how much money we spent in Afghanistan on gas stations, luxury hotels, and this and that�our country suffers. We need to be able to spend that money here at home. I have never been prouder of President Donald Trump. In today�s meeting, he stood up for a strong America and steadfastly opposed foreign wars. Putting America First means declaring victory in Afghanistan and Syria. President Trump is delivering on his promises. I think the president will have to characterize the specifics, but I think his general�the idea is we�re going to do things differently. We�re not going to stay forever. The Afghans will have to step up. The Afghans will need to begin fighting their own wars and protecting their country. It�s not that we�ll do nothing. I think the president still help them. I think we�ll still actually be there longer than I would like to be, but the president is willing to acknowledge that America�s longest war needs to come to a close and that we need to learn how to declare a victory. I can tell you with each successive conversation that I�ve had with him, I feel that he really is going to try to do something extraordinary for our country. We�ve been at war for so long and so many young men and women have died and so many have given up parts of their body. I think it�s a part of the president that a lot of people haven�t seen publicly, and that�s his concern for those he has met at Walter Reed� He takes that burden very personally that he is in charge and he is the one who now gets to decide whether we�re going to be in this forever or if we�re going to change course. And I think he�s going to change course. And I think he�s going to set his own. I don�t want to talk to the specifics though because I think he has to tell the country that, but I will tell you if you�ll look at his language in his tweets about �endless war� and you hear him talk about how long this has gone on, I think you�re seeing one of the extraordinary things about how people couldn�t figure out how did Donald Trump get elected? Well, it would be because he doesn�t fit neatly in a box. He was a different kind of Republican who actually looked at the issues of war and said you know what? We ought to think of America first, and not spend so much everywhere all the time that really a lot of times just doesn�t work frankly. 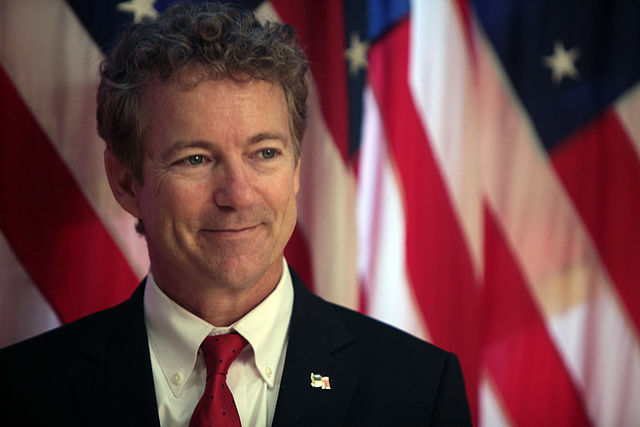 Paul added that in addition to a major policy win for the president, the withdrawals from Syria and Afghanistan�ending both wars finally�are major political wins for him,as well, heading into his re-election in 2020. I think most people, most political pundits, still haven�t figured out how he won in 2016. I think he did win by being different. He got a lot of working class voters who understand that he wanted to and would stand up to foreign countries to make sure we get a better deal for this country, that he would make even our friends and allies pay more for their own defense and the day of everybody thinking that we were Uncle Sam and going to take care of their every want and wish, that those days were over. That�s also what he was saying with regard to war. He won because he said things�look he will defend America. He said in the meeting that he is for a stronger defense than anybody in the meeting ever imagined and that he will do whatever it takes to defend America but that he�s not going to fight forever or leave our troops in wars forever where it�s not really helping America. I�ll be joining @realDonaldTrump shortly at the White House. I stand with the president in putting #AmericaFirst, bringing our troops home, and declaring victory! Trump needs to follow through on what he ran on and end these evil neocon wars. Imagine if it was your kid who was the last to die in Syria because John Bolton and the lying media said we need to "protect the (communist) Kurds." There's no evidence ISIS carried out the attack. ISIS claims responsibility for everything. Every estimate says they control at best around 1% of the country. Ask yourself, why would they time their attack to keep the US in Syria when they know we're going to leave? For all we know this was a false flag by one of our "allies" who are hard-pressed to keep us from pulling out. The media has spent all day saying the conveniently timed attack on Wednesday shows we need to stay permanently in Syria. What it really shows is they want more of our soldiers to die in this evil war so America and Israel can "project power" in the region to maintain our world empire. Trump's real mistake was listening to these neocon traitors in the first place!